A signature custom juice fasting program, as well as fitness, weight loss, and peak performance boot camp retreats. Learn to make healthy, lasting lifestyle changes. Detox Oasis Fitness Retreats offer small group intensives at a private ranch to deliver clients fast and long-lasting results without outside distractions. French Lick, Indiana is well-known for the healing mineral waters which have attracted health enthusiasts for over one hundred years. Choose from our Signature Detox Cleanse & Juice Fast, Jump Start Fitness Retreat, Peak Performance Fitness Boot Camp, Medically Supervised Weight Loss Program, or Yoga Program. Beginners at yoga or those who want to deepen their practice will enjoy the Yoga Program at Detox Oasis. During the Yoga program, you can choose either a Yoga detox cleanse or a regular vegetarian diet. Four Yoga class sessions are offered daily with the option of participating in hikes and group training programs under the daily fitness schedules. You\'ll have the chance to explore meditations and visualizations, cleansing techniques and chanting. Wherever you are in your practice, our instructors will help guide you to reach the physical and mental peace you are seeking. Dave Marshall & Wendy Henry Marshall own and operate Detox Oasis & Fit Body Retreat with the Detox Fitness Camp Programs. 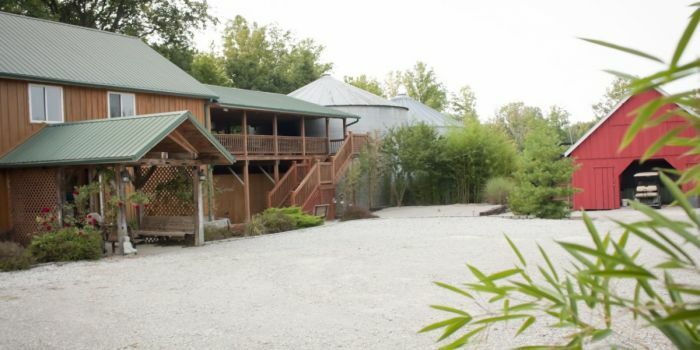 Retreats are located on their private ranch nestled in the rolling hills of Southern Indiana. Detox Oasis philosophy is that every individual needs to choose from the variety of available health and fitness options so they can readily adapt these changes into their lifestyle upon returning home. Our retreat programs are dedicated to improve health and well-being of participants by teaching a variety of healthy lifestyle modifications through using a choice of alternative healing modalities and foods, body building, nutritional supplementation or physician assisted medical sciences. Cuisine at Detox Oasis Retreats ranges widely depending on the program. 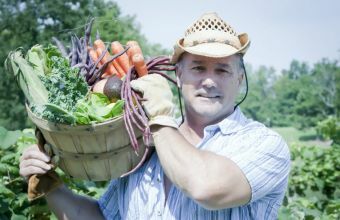 Our detox program includes an all-liquid juice fast using mostly locally-grown, organic produce and is supplemented with vegetable broth, nutritional herbs, psyllium husks and green algae drinks. 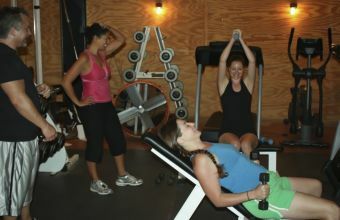 Our fitness program may include raw foods, lean meat, vegetables, or low-carb meals. Protein shakes may be added as a supplement. We also offer strictly vegetarian or vegan meals. Marshall Law: Raw Foods to Red Meats, written by retreat owner Dave Marshall, may be purchased at the retreat or online at amazon.com. This book provides our clients with recipes that will help build and maintain a lean and healthy body. Our individually tailored fitness programs include daily hikes, abdominal exercise class, TRX suspension training, kettle bells, group personal training classes, yoga, and Tabata cardio are included. One-on-one personal training or massage and reiki therapy upgrades are also available.